By Dan Ambrose: Before news leaked about former WBC middleweight champion Julio Cesar Chavez Jr. allegedly testing positive for Marijuana after his fight last Saturday night against Sergio Martinez, Chavez Jr’s trainer Freddie Roach was already busy making excuses for Chavez Jr’s loss and saying he would have won by KO if he had trained better. That’s kind of funny because you can’t sit through the entire Chavez Jr-Martinez fight and come away from it saying that Chavez Jr. was the better fighter. You can say he was bigger, but then again that kind of goes without saying. The guy fights at 180+ somehow and melts down to make weight during the weigh-ins. Of course he’s going to be the bigger guys, but I didn’t see him as the better guy. Roach went on to blame himself for allowing Chavez Jr. to pick and choose what time he would train during the camp. 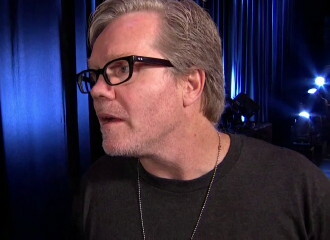 Roach thinks that the irregular hours kept Chavez Jr. from getting a good routine. The weird thing is Roach says that the work still got done despite Chavez Jr’s off hours training. My thoughts are if Roach is saying that the work got done then how would anything be different in a rematch? Work is work, right? It just sounds like Roach is coming up with excuses after the fact to try and explain why Chavez Jr. got so badly dominated by Martinez.